The machine-gun murders of seven men on the morning of February 14, 1929, by killers dressed as cops became the gangland "crime of the century." Or so the story went. Since then it has been featured in countless histories, biographies, movies, and television specials. 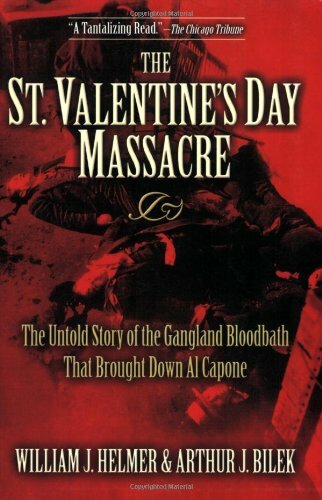 'The St. Valentine's Day Massacre, ' however, is the first book-length treatment of the subject, and it challenges the commonly held assumption that Al Capone ordered the slayings to gain supremacy in the Chicago underworld. Alistair Fox is Professor of English and Director of the Centre for Research on National Identity at the University of Otago.William J. Helmer is author (with G. Russell Girardin) of Dillinger: The Untold Story (IUP, 1994) and The Gun That Made the Twenties Roar as well as other books on the gangland era.